Price changes at any time are the results of the combined effects of some previous factors. Monitoring and early warning of prices must be started from the “source” of price changes. The study of the monitoring and early warning of the price index is based on this thought. On the one hand, it further analyzes the relationship between the macroeconomic variables and the price change, and determines the macro observation index heavily impacting on the price changes based on the empirical study. On the other hand, more significance is attached to the study of the law of key commodity price changes and the determination of the main indicators that affect the price changes of important commodities. Meanwhile, based on the analysis of the inflection point, amplitude and duration of the periodic fluctuation of price, the condition of monitoring and warning is studied and determined; moreover, the early warning and judgment of the abnormal fluctuation in CPI and PPI are being made. This book consists of eight chapters. The first chapter is the introduction. The second chapter is the overview of price fluctuation theory and price monitoring and early warning methods. The third chapter is the establishment of commodity price index and short-term monitoring of prices. 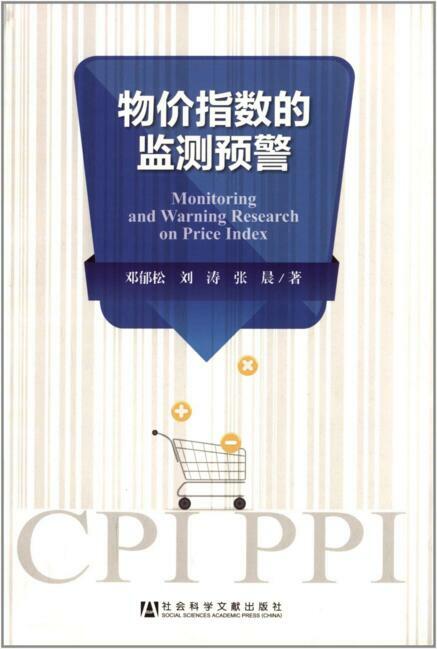 The fourth chapter is the monitoring and early warning analysis of CPI. The fifth chapter is the monitoring and early warning analysis of PPI. The sixth chapter is the monitoring and early warning of key commodity prices (1) - taking pork as an example. The seventh chapter is the monitoring and early warning of key commodity prices (2) - taking crude oil as an example. The eighth chapter is the conclusion and policy recommendations.